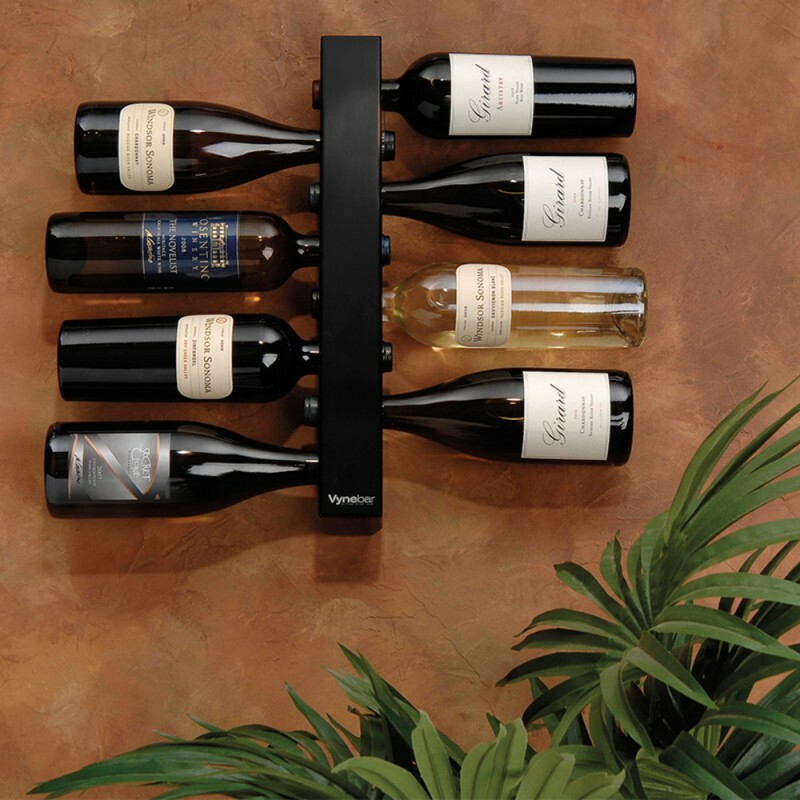 Vynebar 8-Bottle Black Vertical Wine Rack (P/N VB8PBK). Chic and innovative, the Vynebar Vertical Racks are designed to eliminate countertop clutter and display wine in a unique, fun and stylish way. Crafted using a single piece of lightweight recycled aluminum, Vynebar Vertical Racks are extremely durable, easy to install and requires no assembly.